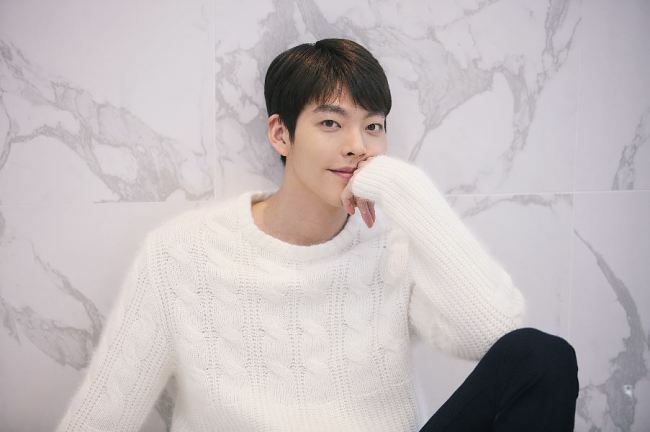 Kim Woo-bin is known for putting a lot of thought into his roles. In the past, he would make a list of 100 questions he wanted to ask his characters, imagining their stories. More recently, he’s taken to picking out fragrances that best suit his character, the 27-year-old actor told The Korea Herald at a cafe in northern Seoul on Monday. In the political thriller film “Master,” which opened in local theaters Wednesday, Kim plays the tech-savvy genius Park Jang-goon, acting alongside Korean cinema heavyweights Lee Byung-hun and Gang Dong-won. Kim’s character Jang-goon invents a computer system for a fraudulent corporation that rakes in investments from unsuspecting clients. But he’s also a fun-loving youth who’s been put in a dangerous situation, and Jang-goon wavers between the police and his callous employer Chairman Jin, played by Lee. When Kim debuted in 2009, both the fashion and entertainment worlds heralded him as a unique face. Looking back, Kim commented that his fresh appearance was an advantage. “I was able to book a lot of jobs, thankfully,” he recalled. Nowadays, there is a flood of strong, distinct faces in the Korean entertainment scene, Kim said. Kim said he picked up significant tips -- on both work and life -- while working alongside cinema veterans Lee and Gang. Asked what he would like to pass onto younger performers 20 years later, Kim smiled.